Vero Beach Police Department respond to gunshots early Sunday Morning. VERO BEACH – The Vero Beach Police Department responded to the 1400 block of Old Dixie Highway after someone reported multiple gunshots in the area. A witness told officers that the gunman left the scene in a new model Dodge Charger, black in color, heading northbound on Old Dixie Highway. The Vero Beach victim stated that he was “jumped by and beaten by” a group of males, according to the report. The officer observed the victim bleeding from the nose. The victim said he was punched and kicked in the back by the individuals while on the ground. Errol Bryan Arrowsmith, 21, and Avery T. Kizzy, 21, were two individuals identified in the battery and shooting by the witnesses. A witness said that during the altercation with the victim, Arrowsmith pulled out a silver revolver and pointed the gun at people. Arrowsmith then went to the vehicle and retrieved another black firearm, shooting it into the air five times. Arrowsmith and Kizzy then fled in the vehicle. Another witness said that when he walked out of a bar near the location, one of them pointed a “silver revolver in my face, the cylinder was hanging in the side not ready to fire,” the report said. The witness then stated that one of the gunmen retrieved another firearm and discharged it in the air five times. 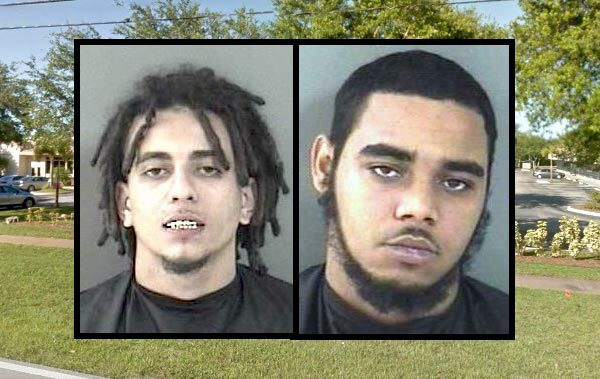 With help from the Indian River County Sheriff’s Office, the vehicle was located on 11th Street SW in Vero Beach with two handguns in plain view inside the vehicle. The firearms matched the description given by the witnesses. “That’s them, 100 percent, they were there and the second guy (Errol Arrowsmith) was the one that put the gun in my face,” the report stated. Arrowsmith and Kizzy were arrested. Officers then found a small pocket with a white powdery substance that field-tested positive for cocaine. Three boxes of ammunition were also found in the vehicle. Arrowsmith was charged with aggravated assault with a dead weapon, felony cocaine possession, felony discharging a firearm in public, and battery. Kizzy was charged with battery.